The California Special of the Ford Mustang dates back to the late 1960s. But how does the latest incarnation fare? Con Unresponsive gearbox why are there no parking sensors? 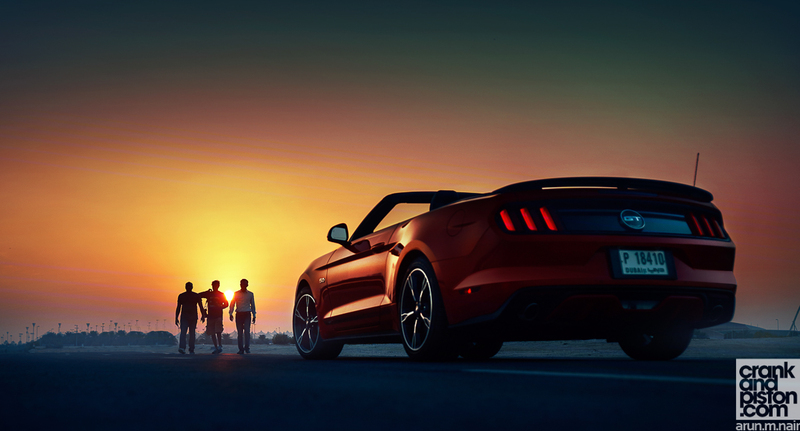 At first glance, the Ford Mustang GT California Special shouldn’t work. Its 5-litre V8 delivers only 429bhp through a six-speed automatic gearbox, I find myself ensconced in a flashy, convertible steel frame with a more plasticky cabin design than I’d hoped for. Even the ‘California’ trimmings amount to no more than some bespoke wheels and a couple of plaques. A shame, given the Special Edition was inspired by impressive sales of the Mustang in California during the late 1960s. Then we get into the details. There’s a really low front lip that threatens a hefty repair bill should it meet a high kerb, entirely possible given that there are no front parking sensors. Inside, there’s a heated/ventilated seat that cools the buttocks nicely but forgets about motorizing the leather-clad chair back. Oh, and a very nice SatNav system that, for some reason, you can only access via the ‘voice activation’ button on the multi-function steering wheel. As I take in the convertible Ford Mustang GT California Special then, I think to myself, “what’s not to hate?”, despite some admittedly funky bonnet-mounted indicator light. That is until you press the starter button and that huge naturally-aspirated 5-litre V8 sparks into life with a trembling rumble. I’m hooked. Immediately. What a sound! Yeah yeah, alright, it’s got the power. But how does it drive? Muscle car cynic that I am, I’m expecting happy faces on the straight bits and groans of complaint from the chassis as we ‘navigate’ the turns, such is the rudimentary handling the muscle car sector traditionally offers. Wrong again. 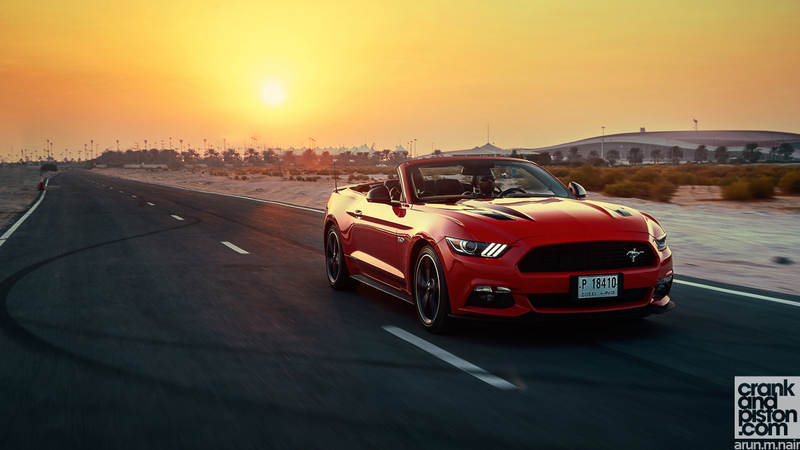 The Mustang GT is excellent on turn-in and, though the steering is not as precise as a true sportscar would offer, the suspension does a great job transmitting sensations to your rear end whilst simultaneously holding the body taught through the corners. My only ‘but’ would be the transmission. As much power as it has – 429bhp – and as much torque as is available – 400lb ft – it never seems to be there when you need it. Unless of course you’re in city traffic, in which case the extreme torque at low rpms will deliver a gentle kick to the kidneys. Fortunately there’s a solution via the fighter jet-style flick switches on the centre console, where we can turn on the hazard warning lights, turn off the traction control (ahem) and switch driving modes and steering intensity. There’s a noticeable difference. With ‘Track’ selected, the throttle becomes much sharper and more responsive, the gear changes –mercifully – much quicker, meaning both power and torque are now more readily available across the rev range. The double-edged sword is that this more insistent power and torque actually makes everyday driving more uncomfortable. And that, actually, kind of makes sense. It makes sense that the Mustang is a bit ridiculous? Yes. 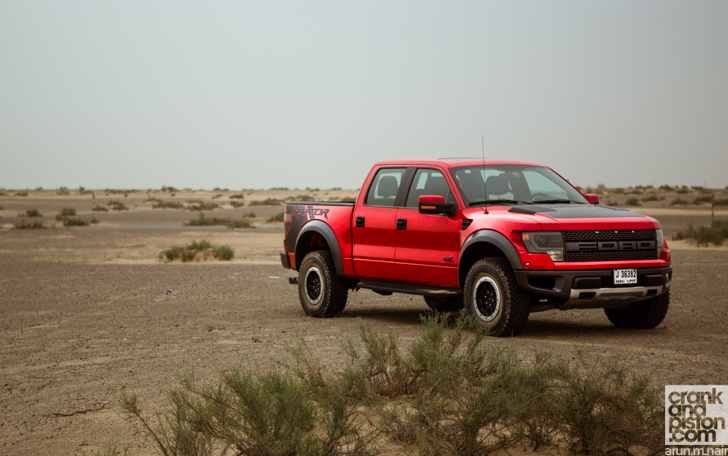 Sure, there’s a more ‘mature’ 2.3-litre Ecoboost engine option available, and the cabin design is more modern and civilized than it has been in previous generations. But there’s also a limited slip diff as standard, offering more than enough opportunity for sideways burnouts. You’re encouraged to check your ‘Ground Speed’ on the speedometer, just as you are with ‘Revolutions per Minute’ on the tachometer (presumably for the poor fools who are confused to be going 6,000kph). The fold-down roof is not particularly practical either, being a joint manual-automatic affair: unlatch the roof with an old style twist lever, apply electricity for 11 seconds, get out of the car, walk to the boot, retrieve the plastic protectors, and carefully affix them over the mechanism for dust protection. To cover the car back, apply the steps in reverse. A faff, absolutely, though I will admit it’s difficult not to be enamoured by that V8 bark being given yet more room to work its magic. And then, there’s ‘Line In’. You’ll have to dig around the sub-menus to find this, but what this does is release the rear brakes while engaging the front. Launch control, you say? No, no, no, my dear, it’s actually a ‘burnout’ feature. Hard on the brakes, hard on the throttle, rear wheels spinning, release, and leave your mark on the world in the form of tyre tracks. How childish and glorious is that? Suddenly that overly energetic Track mode and slightly lackadaisical Comfort seem to make sense for a Mustang trying to both take itself seriously and live vicariously at the same time. To recap. The California Special is comfortable, but quite clonky thanks to a torquey V8 engine. It’s fast but lacks energy thanks to a doddery six-speed gearbox. It has a wonderfully kitsch design but lacks finesse. 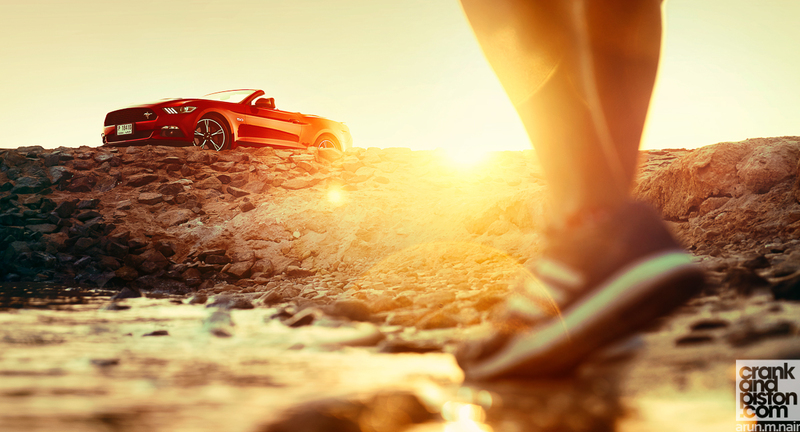 It offers a maturity seldomly found in a muscle car, but also gives you a ‘burnout’ option. It’s a Special Edition model, that, doesn’t, really, have anything special about it. It is thus completely ridiculous, yet utterly brilliant. As simple as it is complex and maddeningly contradictory in almost every respect. How apt, since I never thought I would love the Mustang. But now I really want one. 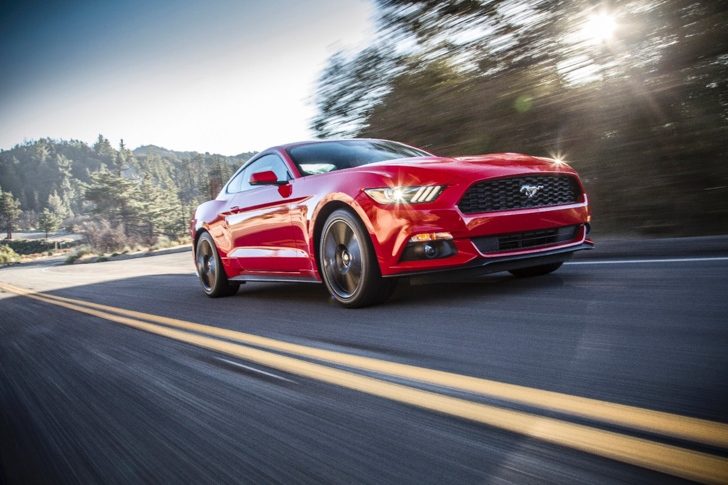 Enjoy our Ford Mustang GT California Special test drive? Next Article VIDEO. Fast and Furious 8 Official Trailer.